Line Reactors, EMI/RFI Filters Distributor, Service, TK Electronics, TCI - Trans Coil Inc.
Excel Industrial Electronics features a complete line of Line Reactors and RFI/EMI Filters with expert technical support that you will experience with every interaction. 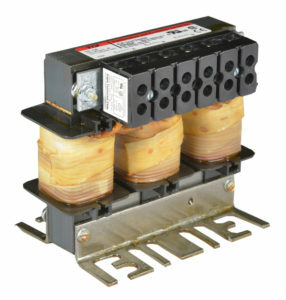 We are an authorized Distributor (D) for TCI, Trans Coil International, and RK Electronics. TCI manufactures active (electronic) and passive (magnetic) products to resolve power quality and harmonic issues associated with industrial power conversion. Our experienced staff specializes in developing optimal solutions to achieve IEEE-519 compliance and enhanced motor protection. Excel partners with electrical and machinery OEMs worldwide, to offer both stand alone and integrated harmonics mitigation and power quality solutions. 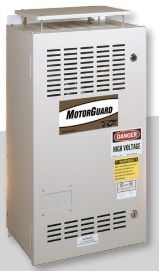 R-K manufactures a wide variety of electronic automation control components for the electrical controls industry. 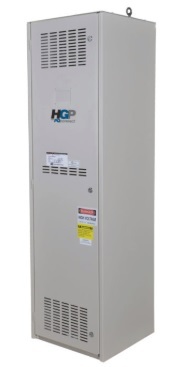 The product line covers very low voltage intrinsically safe relays (no sparking in hazardous areas) up to 600 volt three phase monitoring controls. How Do RFI-EMI Filters Work? Electromagnetic interference (EMI), or radio frequency interference (RFI), is a type of electric or electronic emission that can damage, impair or prevent electrical circuit performance. These emissions originate from both manmade and natural sources, and can be both wanted and unwanted. EMI and RFI can be either conducted, meaning they are sent along power and signal lines, or radiated, which means they propagate in free space. Because EMI and RFI can be damaging to many important applications, such as industrial equipment, hospital equipment, and military devices, it’s usually important to enact methods to avoid or reduce their impact. One blocking method is the EMI/RFI filter. 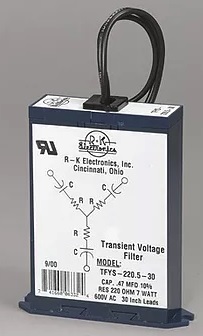 This passive electronic device suppresses conducted EMI/RFI emissions on any power or signal line, but does not suppress radiated emissions in free space. Filters can also be attached to specific devices to limit or suppress their EMI/RFI output, or to inhibit their susceptibility to EMI/RFI emissions from other devices. 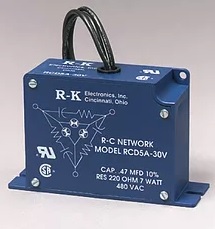 Because there are many different criteria to consider when selecting an EMI/RFI filter, it’s important to know the characteristics of both the device being protected and the filter selected.